Whites ended a four-match losing run against Boreham Wood to leapfrog their opponents in the table with an exciting 3-2 win at Meadow Park. 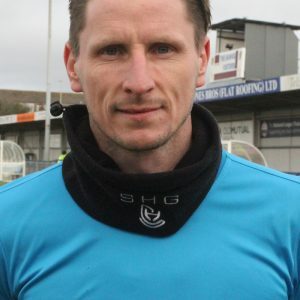 Following a goalless first half, Manny Parry gave the visitors the lead with his third goal in as many games before Dale Stephens volleyed the Wood back on level terms with 20 minutes remaining. Sub Kadell Daniel put Athletic ahead again before Femi Ilesanmi made it 3-1 after he fired home against his former club. Alex Davey pulled one back late on but Whites held on to secure their first league victory of 2018. The visitors started brightly with Ryan Bird just missing out on Mitch Pinnock’s dangerous cross. And Dover were almost made to pay five minutes later as Angelo Balanta placed the ball wide with the net gaping after Giancarlo’s miss-kick allowed Kane Smith to burst through and pass to the Colombian from the byline. Keira Murtagh then volleyed wide and Ricky Shakes blazed over after picking up on a rebound from a free kick. Stephens headed wide of the mark from a Bruno Andrade corner and the hosts went even closer as half-time loomed. Murtagh’s blocked effort fell for Shakes to drive home from the edge of the box, however Connor Essam was on hand to clear the ball off the line. Chris Kinnear’s men went ahead seven minutes after the restart thanks to Parry. 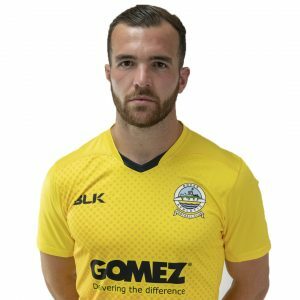 The defender, celebrating his 24th birthday, diverted Bird’s lobbed pass goalwards through a crowded area, finding the bottom corner via the post much to the surprise of home goalie Grant Smith. 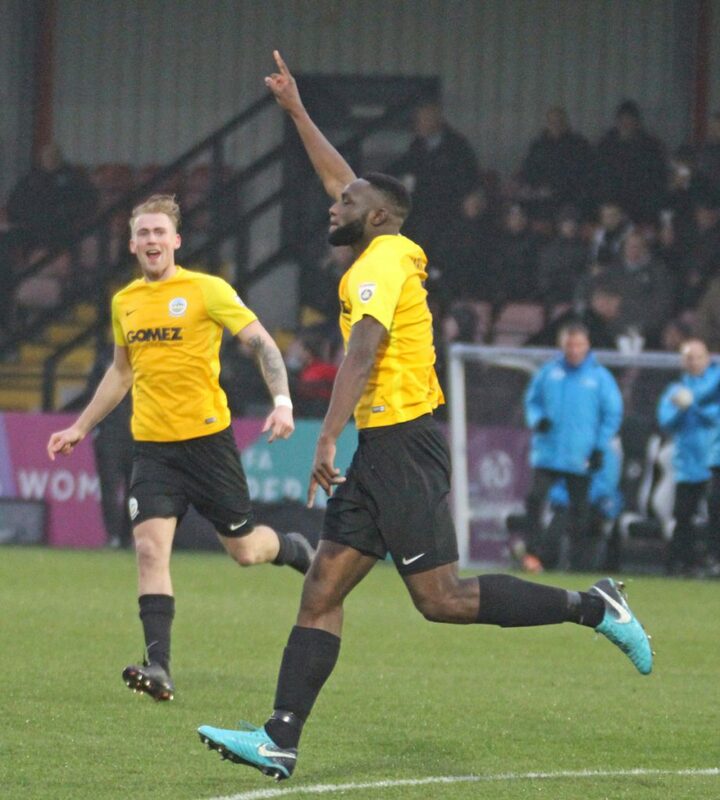 Dover should have doubled their lead after Anthony Jeffrey out paced the opposing backline, but the loanee dragged his shot wide when one-on-one with Smith. And that miss proved costly as Boreham Wood levelled through Stephens. The centre-back, volleyed into the roof of the net from close range after Andrade’s corner ended up at his feet. But the home side’s parity only lasted matter of seconds. Bird nodded on Pinnock’s long throw and with Smith already diving to his right, Daniel hooked the ball into the middle of the goal, in spite of the keeper’s attempts to palm the ball away. Wood Sub Michael Folivi was unable to pass to a teammate after finding space down the left hand side and the Watford loanee then saw his next strike blocked by the sea of yellow shirts ahead of him. And Whites seemingly wrapped up the three points thanks to Ilesanmi’s fine finish against his former club. The wing-back collected Daniel’s cross and after cutting inside, smashed the ball with his right foot into the bottom corner. But the 117 visiting fans had to endure a nervy few minutes when Alex Davey clawed a goal back for the Hertfordshire team. Andrade’s 20-yard set piece struck the bar and after some pinball in the box, Davey fired in to set up a grandstand finish. But Whites held on to move up one place to sixth in the standings and extend their unbeaten run on the road to five matches. Earlier boss Kinnear made one change to the side that started at home to Marine last weekend. Anthony Jeffrey replaced Kane Richards, who started as a substitute. Boreham Wood: G Smith, K Smith, Stephens, Shakes, Champion(c), Murtagh, Andrade, Quigley (Folivi 59), Turley, Balanta, Davey (Woodards 90). Subs not used: Ricketts, Jeffers, Turgott. Dover: Walker, Passley, Gallifuoco, Essam, Parry, Ilesanmi, Brundle(c), Nortey (Okosieme 82), Pinnock, Bird, Jeffrey (Daniel 66). Subs not used: Richards, Fazakerley, Bellamy.